Combine the benefits of Anti-Inflammatory Diet with all the advantages and convenience of Slow Cooking! 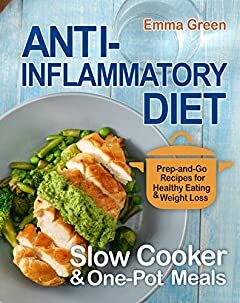 Anti-Inflammatory Diet Slow Cooker & One-Pot Meals is a collection of everyday recipes for fighting inflammation through the power of your Slow Cooker, Crock Pot, Skillet or Sheet Pan. With this cookbook, you will reduce inflammation naturally, and heal the conditions that frequently occur as a result, such as arthritis, autoimmune conditions, food allergies, gastrointestinal distress, and more.